Ever order KFC at the drive through and simply can NOT wait to reach your destination before diving in? The good people at KFC have recognized this, and have come up with an interesting solution. 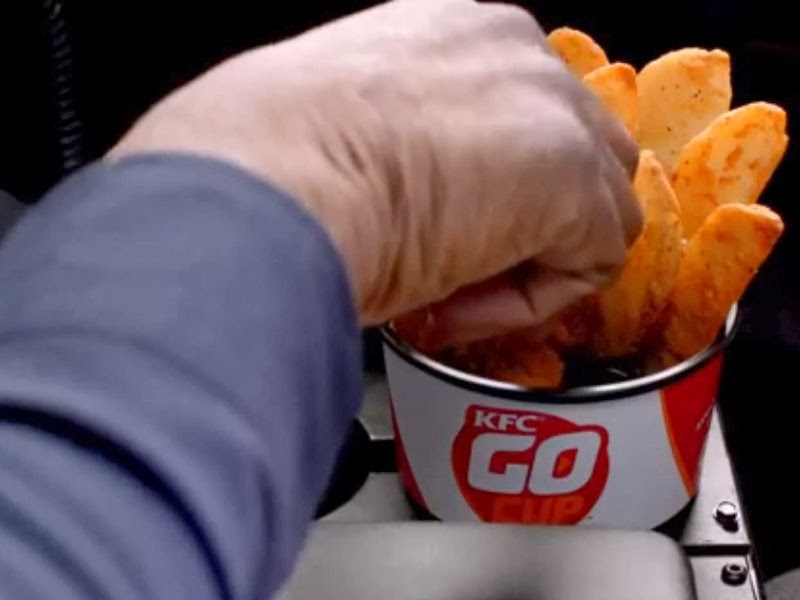 Now, with their new “Go Cups” you can stuff yourself with potato wedges and your choice of a chicken sandwich, chicken tenders, or hot wings for only $2.49 without moving from the drivers seat. Now, if only it included a bib!